MBSCLICK IS MADE FOR YOU! Discover our product ranges, all quotation requests require analysis with the customer in order to propose the most appropriate products. The products presented below are an example of the products we can offer, with a broad range of available options. 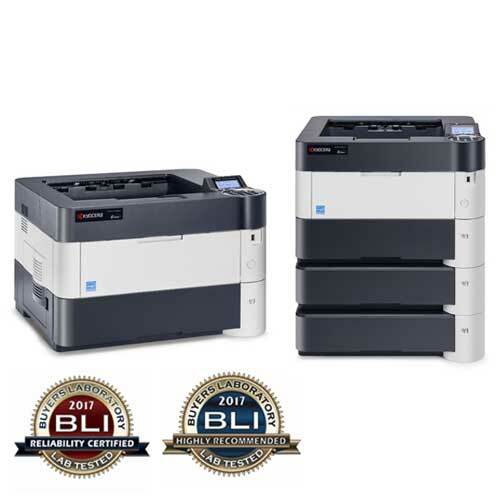 This printer offering print rates of 60 ppm can handle high print volumes and production peaks while being compact and silent thanks to the silent mode. It can manage private printouts and boxes of documents can be created to store recurrent documents to print. 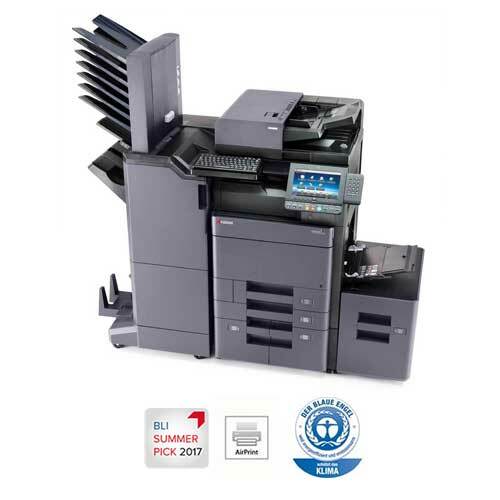 Its flexibility can manage different types of paper with optional trays, its speed with the 1st page printout in under 4.9 seconds makes it a must-have for workgroups needing reliability and productivity. This multifunction A4 colour machine is specially designed for small and medium-sized working groups. Very reliable, it offers fast output speeds, both in colour and in monochrome. The intuitive touch screen offers direct access to the numerous functions of this multi-purpose machine. Furthermore, with program buttons dedicated to the KYOCERA HyPAS open solution platform, you can streamline your document workflow. The TASKalfa multifunction printer range offers speed, versatility and high-quality colour printing. When you process high volumes, you can count on KYOCERA’s long service life technology to keep downtime to a minimum, only the toner cartridge needs changing every 600,000 pages. Finally, the TASKalfa 5052ci fits easily into your existing workflow thanks to the HyPAS solution platform or the Fiery printing controller. 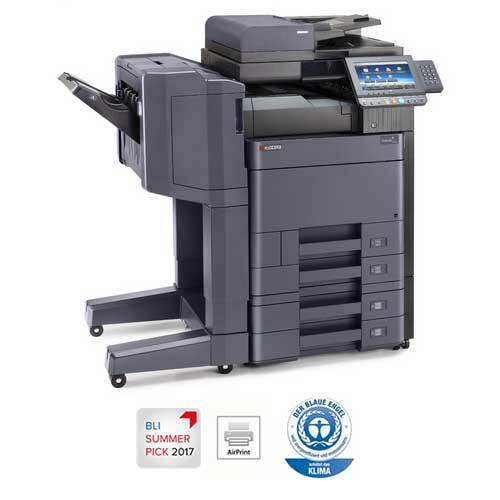 The TASKalfa copier range is the best choice for workgroups having high print volumes and production environments. 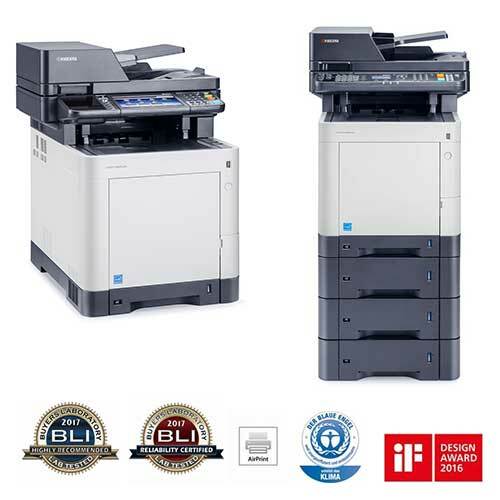 It meets the specific needs of such environments thanks to its productivity, flexible paper management and the different output options available. The optional Fiery controller enhances colour quality and productivity even more. Compatible with the main mobile printing protocols, users can simply print and scan documents from their tablet or smartphone. Do you want more information about MbsClick?